M. Boeff, F. Gutknecht, P. S. Engels, A. Ma, A. Hartmaier. Graphic reprinted from Engineering Fracture Mechanics, 147, Martin Boeff, Florian Gutknecht, Philipp S. Engels, Anxin Ma, Alexander Hartmaier, Formulation of nonlocal damage models based on spectral methods for application to complex microstructures, 373-387, © 2015 with permission from Elsevier. 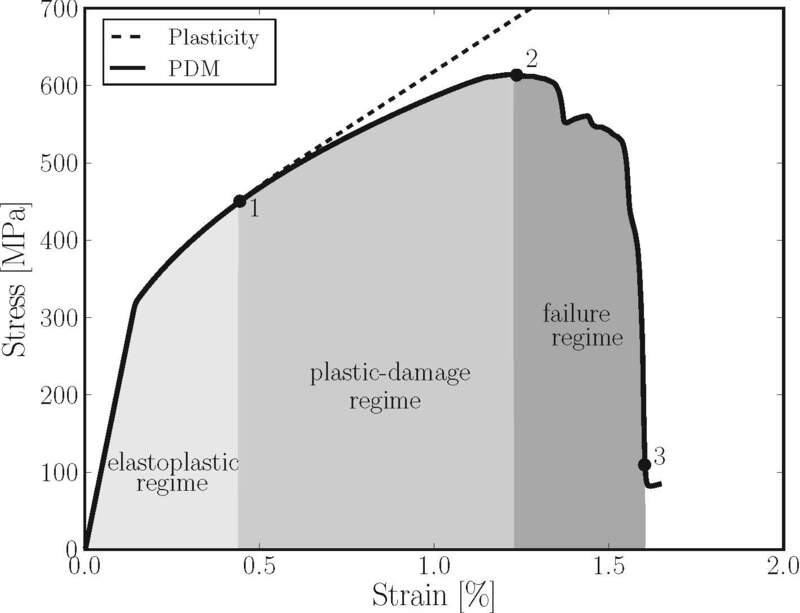 The increasing interest in modelling local deformations and damage evolution within materials with complex microstructures leads to an increasing demand for efficient numerical methods. A method designed to study damage evolution within the microstructure should be able to deal with complex geometries and to capture system sizes that are large enough to rectify the assumptions made when naming them representative volume elements (RVEs). We introduce a nonlocal damage model into the framework of a spectral solver and study initiation and evolution of damage on the microstructural scale, where regions susceptible to damage are identified.